If you’re a construction lawyer or construction industry professional, by now you’ve probably heard about the recent High Court decision in Maxcon Constructions Pty Ltd v Vadasz  HCA 5 (‘Maxcon’) (handed down at the same time as the decision in Probuild Constructions (Aust) Pty Ltd v Shade Systems Pty Ltd  HCA 4). Most commentators have focused on the judicial review issue which arose in both of those cases. However, the High Court in Maxcon also determined that a provision in a construction agreement which allowed a head contractor to withhold retention moneys under a subcontract until certain events had occurred under the head contract was a ‘pay when paid’ provision, and was therefore not legally enforceable under the security of payment (SOP) legislation. (See Kiefel CJ, Bell, Keane, Nettle and Gordon JJ at –. Gageler J at  and Edelman J at  agreed with the conclusions of the plurality regarding the operation of the SOP legislation, but did not consider the issue determinative of the appeal). On Friday 13 September 2013 I was lucky enough to spend an hour interviewing Professor William Gummow AC about his time on the High Court of Australia (1995–2012). Professor William Gummow AC retired in October 2012 from the High Court after 17 years on the bench. Prior to that he sat on the Federal Court for ten years, and before that had been an influential and highly-regarded member of the Sydney Bar, a partner at Allen Allen and Hemsley, and also lectured part-time at the Sydney Law School from 1965 until 1995. He is now Professor of Law at the Sydney Law School and the Australian National University. The electoral roll closes by 8pm today, Monday 12 August 2013, seven days after the election writs were issued. If you have not registered by this time, you will not be eligible to vote in the forthcoming election on 7 September. It seems appropriate to commemorate today the victory in Rowe’s Case  HCA 46 in which the High Court struck down as unconstitutional, a law by which the electoral roll was closed on the day of issue of the electoral writ (usually, the day that the election is announced). The Electoral and Referendum Amendment (Electoral Integrity and Other Measures) Act 2006 (Cth), passed under the Howard government, had amended the Electoral Act 1918 (Cth), resulting in the electoral roll being closed on the day on which the electoral writ is issued for new or re-enrolling voters, and three days after the writ is issued for voters updating enrolment details. Previously, the electoral roll remained open for a period of seven days after the issue of the writ. On 1 July 1983, the High Court sat in Brisbane to hand down its decision in Commonwealth v Tasmania  HCA 21. 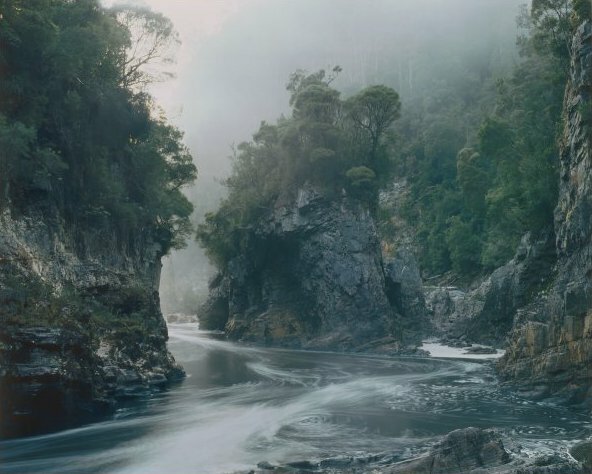 Popularly known as the Tasmanian Dam case, the decision is a landmark in Australian constitutional and environmental law. On 28 June 2013, 30 years after the decision was handed down, the Melbourne Law School hosted a symposium ‘Turning Points: Remembering Commonwealth v Tasmania (1983) 158 CLR 1’, to commemorate and reflect on the significance of the Tasmanian Dam case for Australian society, the environment and Australian law. The private symposium was convened by Dr Ann Genovese (Melbourne Law School). It brought together significant figures involved in the case, academic lawyers, historians and environmental activists, and the papers presented will be published in a forthcoming issue of the Griffith Law Review. For more on the Turning Points symposium, see here.